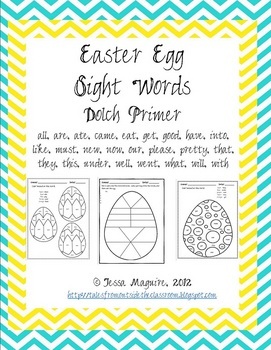 This is a set of color by word Easter worksheets. 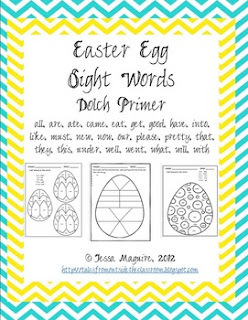 There are 6 different worksheets and a blank one for you or your students to create your own. The words are from the Dolch primer word list. The words include are: all, are, ate, came, eat, get, good, have, into, like, must, new, now, our, please, pretty, that, they, this, under, well, went, what, will, with.